The Imagineear team are extremely proud to have created and produced a suite of multimedia tours for one of London’s most prestigious flagship attractions, the Houses of Parliament. 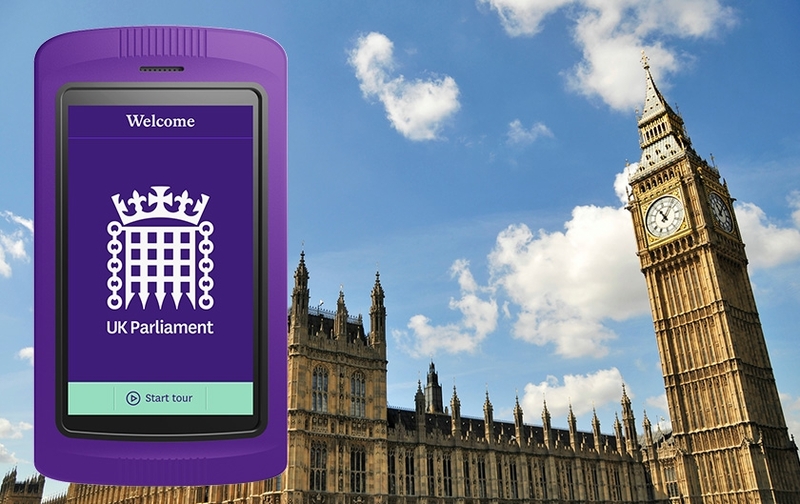 Twenty-one different self-guided tours are now available for visitors to the House of Commons, the House of Lords and the Royal Apartments within the Palace of Westminster. The tours include a main tour with layers of content and a highlights tour, available in English, British Sign Language and eight other languages. In addition, there is a family tour in English with interactive games and engaging content aimed at primary schoolchildren to show how they can have a voice in Parliament by petitions and contributing to select committees. “It’s been an absolute privilege to work within the UK Parliament producing this project over the last few months. The art, architecture, history and politics of the Houses of Parliament interweave to create an intriguing story,” said Emma Thompson, Imagineear’s Project Manager for this site. As well as scripting content, Imagineear has recorded many new audio and video interviews, enhanced mono recordings of the two parliamentary chambers during sittings into stereo soundscapes, and incorporated an interactive map and scrollable list of content. A boom for foreign language visitors are the contextual timelines which is shown with a parallel timeline of events that took place in the visitor’s own country.